Dana F. Smith has created a hand made book that combines digital photo-collage using original photographs, hand painting, and poetry. 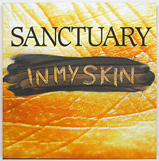 Sanctuary In My Skin is the story of being human in an emotional landscape made of color and light. 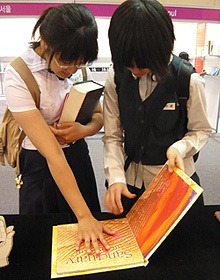 The book is hand-bound and painted in an edition of twelve. Each book is digitally printed with archival inks. They are hand painted with acrylic gouache paint. Edition of 12.